Justin was the nephew of the Emperor Justinian: the son of Justinian's sister Vigilantia. As a member of the imperial family, he received a thorough education and enjoyed considerable benefits not available to lesser citizens of the Eastern Roman Empire. His powerful position may be why he was possessed of extreme self-confidence that could be, and often was, viewed as arrogance. Justinian had no children of his own, and so it was expected that one of the sons and grandsons of the emperor's siblings would inherit the crown. Justin, like several of his cousins, had a bevy of supporters both within and without the palace milieu. By the time Justinian neared the end of his life only one other contender had any real chance of succeeding the emperor: the son of Justin's cousin Germanus, also named Justin. This other Justin, a man of considerable military ability, is considered by some historians to have been a better candidate for the position of ruler. Unfortunately for him, the emperor's nostalgic remembrance of his late wife Theodora may have harmed his chances. The emperor is well known to have relied heavily on his wife's guidance, and Theodora's influence can be clearly seen in some of the laws Justinian passed. It is possible that her personal dislike of Germanus prevented her husband from forming any serious attachment to Germanus' children, Justin included. 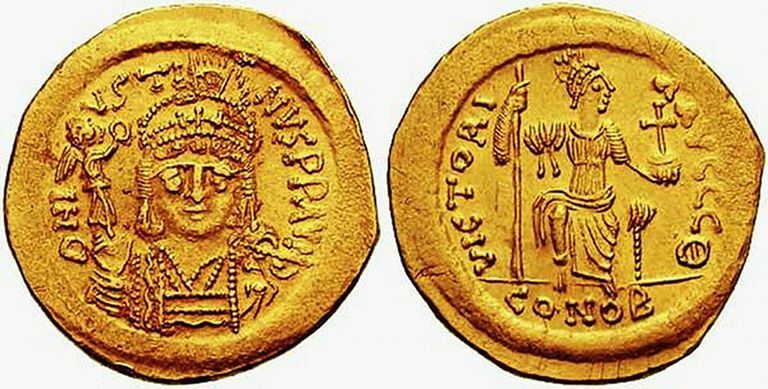 Furthermore, the future emperor Justin II was married to Theodora's niece Sophia. Therefore, it is likely Justinian had warmer feelings for the man who would succeed him. And, indeed, the emperor named his nephew Justin to the office of cura palatii. This office had usually been held by an individual with the rank of spectabilis, who saw to the general daily business matters at the palace, but after Justin was nominated, the title was usually bestowed upon members of the imperial family or, occasionally, foreign princes. Furthermore, when Justinian died, the other Justin was guarding the Danube frontier in his role as Master of the Soldiers in Illyricum. The future emperor was in Constantinople, ready to take advantage of any opportunity. That opportunity came with Justinian's unexpected death. Justinian may have been aware of his mortality, but he made no provision for a successor. He died suddenly on the night of November 14/15, 565, having never officially named who was to take up his crown. This did not stop Justin's supporters from maneuvering him onto the throne. Though Justinian probably died in his sleep, the chamberlain Callinicus claimed that the emperor had designated the son of Vigilantia as his heir with his dying breath. In the early morning hours of November 15, the chamberlain and a group of senators who had been wakened from their slumber rushed to Justin's palace, where they were met by Justin and his mother. Callinicus related the emperor's dying wish and, though he made a show of reluctance, Justin quickly assented to the request of the senators to take up the crown. Escorted by the senators, Justin and Sophia made their way to the Great Palace, where the Excubitors blocked the doors and the patriarch crowned Justin. Before the rest of the city even knew Justinian was dead, they had a new emperor. In the morning, Justin appeared in the imperial box at the Hippodrome, where he addressed the people. The next day he crowned his wife Augusta. And, in a matter of weeks, the other Justin was assassinated. Though most people of the day blamed Sophia, there seems no doubt that the new emperor himself was behind the murder. Justin then set about working to gain the support of the populace. Justinian had left the empire in financial difficulty. Justin paid his predecessor's debts, remitted overdue taxes, and cut back on expenditures. He also restored the consulship that had lapsed in 541. All this helped the local economy, which garnered Justin high marks from the nobility and general populace alike. But things were not all rosy in Constantinople. In the second year of Justin's reign a conspiracy took place, possibly motivated by the political murder of the other Justin. The senators Aetherios and Addaios evidently plotted to poison the new emperor. Aetherios confessed, naming Addaeus as his accomplice, and both were executed. Things ran considerably smoother after that. The Acacian Schism that had split the Church in the late fifth and early sixth centuries had not ended with an abolishment of the heretical philosophy that triggered the split. Monophysite churches had grown and become entrenched in the Eastern Roman Empire. Theodora had been a firm Monophysite, and as Justinian aged he had grown more and more inclined toward the heretical philosophy. Initially, Justin showed a fairly liberal religious tolerance. He had Monophysite churchmen released from prison and allowed exiled bishops to come home. Justin apparently wanted to unite the disparate monophysite factions and, ultimately, reunite the heretical sect with the orthodox viewpoint (as expressed at the Council of Chalcedon). Unfortunately, every attempt he made to facilitate concord was met with refusal from intransigent Monophysite extremists. Eventually his tolerance turned to stubbornness of his own, and he instituted a policy of persecution that lasted as long as he was in control of the empire. Justinian had pursued a variety of methods to build, maintain and preserve Byzantine lands, and had managed to acquire territory in Italy and southern Europe that had been part of the old Roman Empire. Justin was determined to destroy the enemies of the empire and was unwilling to compromise. Not long after he achieved the throne he received emissaries from the Avars and refused them the subsidies his uncle had granted them. He then formed an alliance with the Western Turks of Central Asia, with whom he fought against the Avars and possibly the Persians, as well. Justin's war with the Avars did not go well, and he was forced to grant them even greater tribute than they had initially been promised. The treaty Justin signed with them angered his Turkish allies, who turned on him and attacked Byzantine territory in the Crimea. Justin also invaded Persia as part of an alliance with Persian-controlled Armenia, but this too did not go well; the Persians not only beat back the Byzantine forces, they invaded Byzantine territory and captured several important cities. In November of 573, the city of Dara fell to the Persians, and at this point Justin went insane. Beset by temporary fits of insanity, during which Justin evidently attempted to bite anyone who came near, the emperor could not help but be aware of his military failures. He evidently ordered organ music to be played constantly to soothe his fragile nerves. During one of his more lucid moments, his wife Sophia convinced him that he needed a colleague to take over his duties. It was Sophia who chose Tiberius, a military leader whose reputation outshone the disasters of his times. Justin adopted him as his son and appointed him Caesar. The last four years of Justin's life were spent in seclusion and relative tranquility, and upon his death he was succeeded as emperor by Tiberius. The text of this document is copyright ©2013-2015 Melissa Snell. You may download or print this document for personal or school use, as long as the URL below is included. Permission is not granted to reproduce this document on another website. For publication permission, please contact Melissa Snell.